Ever since 1979, when Rich Shane answered an ad in the paper for a plumber’s helper, he’s been showing up and working hard, solving residential plumbing issues for folks all over the West Coast. Over the years, Rich worked his way up learning from the experts, until he knew it was time to go out on his own. In 1999, Aristocrat Plumbing was born. All those years watching and learning from experienced plumbers sure paid off—Rich Shane of Aristocrat Plumbing is hands-down, the best plumber around, and he’s got a long list of satisfied customers to prove it. His sister-in-law even says she’s pretty sure people break their plumbing on purpose just so they can have Rich over to fix it. He’s that kind of guy. You see, customers report that time with Rich is time well spent. The truth is, Rich loves nothing more than meeting new people and providing excellent service. He knows that the key to a successful business is doing your best and treating people right—which is what you’ll get from Aristocrat Plumbing. Need a plumber? Just call Rich. Aristocrat Plumbing Inc has proudly serving Grants Pass and the entire Josephine County area with excellent customer service for over 22 Years. 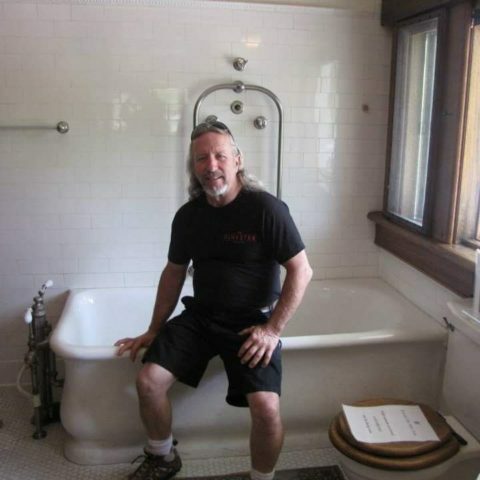 We’ve been in the Valley for 25 years and owner Rich Shane has over 37 years as a plumber. With so many years of experience behind us, you know you are getting expert plumbing service.